I have an outstanding record of achievement in education including several national awards, and the distinction of having run some of the most successful programs in Long Island. The American Academy for the Advancement of Science has designed seminars to teach others my methods. I am an experienced and effective tutor in over 30 subjects as well as a former science center director and published columnist in Scholastic. A graduate of Brooklyn College with a Bachelors in Accounting, a Masters in Computer Information Science, and a minor in Physics, I did additional English coursework at Columbia University. With four decades of tutoring experience, my students have included K-12, junior high, high school, junior college, four-year college, university, and continuing adult education. I am NYACCE-certified. My tutoring subjects include English composition, pre-algebra, public speaking, study skills, SAT, ACT, and GED. In a classroom environment, I have taught ESL/ ESOL, TOEFL, K-12 reading, math, and science, Microsoft Power Point, and business. I have been a judge in the Long Island Science and Engineering Fair for seven years, a guest speaker for science classes, and a career advisor for special needs high school students through the Long Island Works Coalition for ten years. The first thing students find out with me is that tutoring is not just "more school." If you treat it as a few more hours of school, with the same approach used in the classroom, it will only bring the same frustrations. My approach is tailored to the student without any preconceived notions. In addition to the above, I have 9 years experience as a NASA educator doing presentations for grades 3 and up; 12 years' involvement in developing informal education programs; 2 years as a tutor at Kingsborough Community College, filled in for the Brooklyn College Chairman of Economics; taught educators technology related teaching techniques in the Pennsylvania and New York school systems; created a national training program for the U.S. Treasury Department; personally trained over 100 employees; and taught technology, investments, and accounting subjects at three CPA firms. I have a flawless driving record, I am punctual, reliable, and have passed a recent background check. Feel free to ask me any questions. My availability includes weekdays, weekends and evenings. Rate details: Lower rates are available for groups. Just ask. Coming as I do from generations of artists and artisans, I had an interest since childhood in trying out the various avenues of art. I have drawn on the professional level, including several years of commercial art sketches for advertising layouts, and at least one business logo that has endured for over fifteen years. In addition to having worked with film students, I have real-world experience in just about everything taught in film school, including producing, directing, art direction, screenwriting, cinematography, and post-production. I made an independent feature film, worked on several documentaries, did some acting, and wrote a made-for-television movie for TBS. I also obtained a distribution deal with Tri-Star Pictures. If you need practical, local advice, that's what I'm here for. Once a fixture at the outdoor summer galleries in the late '70's, I have painted at the professional level, having sold made-to-order landscapes and animal scenes in my local community, which was then Brooklyn. In the realm of professional commercial art, I used various techniques in acrylics, oils and watercolors to produce and sell labels for wine bottles, also in the 1970's. In the 1980's, I tried my hand at a school called Artography where I took eight students through a semester. I won first prize in the Chase Manhattan Bank Painting Contest with "Birds of Paradise," and one of my recent works, "Trouble Brewing," was exhibited at the Cinema Arts Centre in 2009. I've produced an independent feature film currently on sale, a television pilot being re-cut for sale, and assisted in production of numerous short films and videos. I have also done professional photography seen by millions. As an independent in this sideline, I work on all aspects from set design to final cut, but I have also hired actors, stunt people, camera operators, technicians, costume designers, and carpenters. After attending the Brooklyn College School of Economics, getting an accounting degree, and passing the CPA test, I worked for two years for Deloitte & Touche, one of the premier business consulting firms. I also taught the introductory business management course at Brooklyn College, which included the advantages and disadvantages of forms of business ownership, functional activities of a business, and topics related to human resources, production, operations, and management information systems. Many of my students and their parents naturally ask me for career development assistance. That can include career guidance and advice, resume assistance, and a host of test preparation elements for tests or skills not otherwise listed on the site at this time. They tap both the specialized and general knowledge I have by virtue of my varied career experiences, my seven years of mentorship of science and math students in the Long Island Science & Engineering Fair and for LIMSAT, and my decade of volunteer work guest lecturing and doing all of the above for Long Island Workforce Development, which includes all career paths. When you ask me, I'll be happy to let you know if your situation is something with which I can help. The core of my first career was in law enforcement and forensics. I was a top federal agent and an expert witness in fraud trials. I had taken the basic course in criminology in college, adding five years of training concurrent with my job. I have been tutoring criminal justice for two years with successful results. I specialize in helping students understand the accounting theories that support accounting decisions and the entries that go with them. This brings a student up to speed a lot more quickly and easily than memorization alone can do. Accounting served as the base of my overall education and an entry point to everything I needed to do. I took courses all the way through the CPA exam, and excelled in related work venues, getting opportunities in most of the areas you've heard about--government, public accounting, private business, and non-profits. How accounting is taught hasn't changed much, the good and the bad of it. I know every rough spot along the way, and I provide guidance and encouragement for my students, some of whom are current professionals who missed a thing or two in school. My specialties right now are: first year and intermediate financial accounting, taxation, and aspects of the CPA test. I also help with related issues, including, but not limited to: career counseling and spreadsheets. I sometimes cover advanced accounting. The GMAT is a sophisticated test like no other in its ability to stump otherwise intelligent students. In creating such a test, however, the Graduate Management Admission Council has also left a trail of recognizable patterns for the discerning eye. As a federal investigator I was considered the finest of puzzle solvers. With my years of test preparation experience, I've sat down and devised an easy-to-follow methodology for each section and sub-section of the test. For the best of students, it has made a tremendous difference in just 4 - 6 hours of study with me, usually in 2-hour increments. No one has required more than 10. Although the GRE is designed to be the next-level parallel to the SAT and the ACT, students are surprised to find that they have more difficultly with the GRE than either of the earlier tests. With decades of experience in advanced subjects and testing I can reveal to you the theories that drive the questions, and how to react to the turns they can take. On top of that, I work with the most up-to-date information on the GRE (all the recent years' changes), use the latest books, provide my own study strategies, which I tailor to my students, and add in my own materials. Accounting served as the base of my overall education and an entry point to everything I needed to do. I took courses all the way through the CPA exam, and excelled in related work venues--government, public accounting, private business, and non-profits. How accounting is taught hasn't changed much, the good and the bad of it. I know every rough spot along the way, and I provide guidance and encouragement for my students, some of whom are current professionals who missed a thing or two in school. My specialties right now include managerial accounting both for an undergraduate degree and for aspects of the CPA test. I also help with related issues, including, but not limited to: career counseling and basic Excel spreadsheets. Beyond the word processor, the most important thing computers have done for us is the invention of the spread sheet, and today that means Microsoft Excel. As a once-active CPA, I've worked on every version of presentation and calculation software, and taught it every place I worked. There's nothing more impressive or attractive to an employer than someone who can customize and calculate the essentials of the business they are in, or understand and improve upon the spread sheets that others have done. I've had students that need as little as a one-session refresher with a few new tips, to those who need to learn the program from scratch. In between were those who never quite learned it right and were sweating through a week to produce a poor version of what they could have breezed through in an afternoon. I make it understandable. I've done slide show presentations since my first corporate job in 1984. As a technical specialist I was able to smoothly transition to the use of Power Point as soon as it was invented. I teach it on beginning, intermediate and advanced levels both in the classroom and as a tutor. After a session where we create a single slide from scratch, I share finished professional presentations as a learning tool where students can practice their basic skills by altering the finished work. At the same time I share the stories behind the creation as well as the thinking and planning that went into them. Depending on how ambitious you want to set the program,the student may learn how to set goals, plan, script, gather material, and present the material. We ultimately create and test full presentations. As with most people, public speaking was my greatest fear. I couldn't speak in front of three friends, let alone a classroom. With the step-at-a-time help of some marvelous college coaches, and my own burning desire to recreate myself, I became a U.S. Treasury Department spokesman by the age of 26, visiting dozens, then hundreds, and finally entrusted with a spot on PBS. As a museum founder, I entertained CEO's and shared the stage with politicians. As an author, I've spent eight years leading convention seminars. Through NASA TV, I've spoken in front of 19 million people worldwide at a time. Was I afraid? Just a bit, yes. Like a boxer that must stay hungry, I know how to turn my fear into fighting energy. If I can do it, you can do it with my help. I have an accounting degree with graduate study in taxation; CPA, enrolled agent status; 8 years as tax preparer, tax auditor, and tax manager; additional training at U.S. Treasury Department and Deloitte & Touche. Areas of experience include personal income tax, partnership, S Corp., and C Corp. with specialties in real estate and textiles, and 501(c)(3) corporations. The computing field changes so quickly that I rely far less on my masters degree from the 1980's than I do the long-term self-study and continuing professional education that has kept me up to date. I was the designated technology officer/ computer generalist on every job I've ever had. That means that for decades I've always had some guidance role that prepared me for my more recent computer students. Ni hao. I have been studying Chinese for seven years and I use it most days of the week in programs where I show Chinese-Americans how English Grammar parallels or differs from Mandarin. When teaching American-born students Chinese language skills, I use a combination of immersive and non-immersive, layered techniques that allow students to gradually absorb the many unfamiliar aspects. My program is perfect for anyone wishing to start on the path of proficiency and can be adapted to any purpose. I help all levels. I am TOEFL certified and have assisted with a wide range of languages and language challenges. For students from China, I know enough Mandarin grammar to help teach the differences in English grammar. In my first few years of tutoring, most of my kids happened to be on an ESL track, and others came later, including many native Spanish speakers, Russians, Italians, French, and others. I find it especially exciting to have students who are learning something new with each verbal exchange and written word. I've been privileged to have a role in the great success of so many ESL, ESOL and ESP learners. Among the things I hear from my students every day is that grammar is no longer taught. That's ironic because grammar surely is tested. Parents contend with the grammar-fueled tests known as SAT, ACT and GRE just to name a few. Since grammar is a living discipline, no one's grammar is flawless and no one's assertions are free from debate. I rely on what I learned from my Columbia University English professor, from my Advanced Business Communications course, and from a decade of tutoring admissions tests in an out of the classroom. My student's results have been superb. As a professional writer and editor as well as a former CPA and business consultant I have a healthy store of knowledge that includes both English and financial proofreading as well as an appreciation of the importance of both. Each can be taught quickly if the student already has a background in English or accounting/ finance respectively. While proofreading is rarely career work itself these days, I advise acquiring this knowledge as a resume builder. Experienced tutor for early year Spanish language studies (as well as corporate work with Spanish employees who need English skills). In addition to many years of tutoring, my long acquaintance with the subject began with being recognized as the top scoring Spanish student of all time at Lincoln High School in Brooklyn. If anyone wishes to emulate me and let me instruct and advise them for a few hours per week, there is no reason they can't do well in a school Spanish program. My experience in tutoring the younger grades goes back 40 years to when I was a fifth grader in something called the Future Teachers Club. Because of this marvelous program, I got to skip my own classes, which were freighted with material I had learned on my own, and discover the joy of helping other youngsters learn. More so than in any other group, the younger grades require a healthy, balanced dose of the two P's--passion and patience. They also need study skills that will last a lifetime, and a well rounded approach. 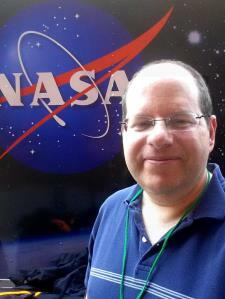 Two programs I invented while a children's educator at NASA, "What If You Were a Scientist? and "What If You Were an Engineer?" demonstrated that creating a mindset for kids can be the most powerful tool they could ever hope to have. All of the most difficult cases in this area come to me. This has been true ever since I studied the educational methods at Tutor Time and other organizations eighteen years ago. When I have students with the greatest challenges, much of the success is measured in easing the anxiety that comes from facing the subject alone. Most of the time, my elementary science tutoring is part of a broader assignment. When I'm called upon to tutor elementary science on its own, the issue usually turns out to be what I call "jargon shock." This falls into the wider category of language acquisition skills and I bolster them across the whole range with special care to make the science words sound more familiar. In other cases it's a matter of the student simply not having an interest in the subject and in those instances, I draw upon my decade as a science museum consultant and my nearly two decades of work with NASA to stimulate interest. As a student moves up through each grade, the assigned reading becomes more challenging. If the student has not done a great deal of challenging reading on a recreational basis, it is easy for him or her to fall behind, Reading comprehension is one of the trickiest skills to impart to a student who does not like to read. At the same time, if anything will work, it has to be a one-to-one program developed for the particular student to proceed at their pace and meet their individualized needs. In my method, it begins with a careful assessment of how that student absorbs information and what their stumbling blocks seem to be. It develops by my sharing how I view and analyze written material and the student practicing those principles with the guidance and exercises I provide. Much of it, I find, has to do with expanding their vocabulary with an emphasis on denotation and connotation. When my students pick up a set of new and productive habits they find every area of learning positively impacted by their improved reading. While it is rare to find myself approached for tutoring in an area such as spelling alone, I believe that more people should avail themselves of the opportunity. As a professional writer who was very successful in a long career in business and a second career in education so far, my advancement could not have been achieved without impressive written skills. The inability to spell keeps many people from using their full range of vocabulary out of fear of spelling words wrong or the inconvenience of looking them up. In the past five years many of my English students have added spelling tutoring as an additional request. At this point I've had a great many study skills students, and with the their success I've demonstrated that HOW you study is just as important as how MUCH you study. And while catching-up skills are no substitute for doing-it-right-all-along skills, there are times when you absolutely must know how to catch up to where you should have been at a given point. Effective studying, a positive mental attitude, and endurance are things you can learn, and these are part of my program. Typically, I combine general approaches with specific skills for specific subject matter. I go over the material with the student and we cover the whole range in two or three sessions with followups as needed to reinforce the new, healthier habits. In this era of texting, a lack of vocabulary skills has become the greatest impediment to reading comprehension. Each generation uses fewer words than did the previous one. The school system has not been able to step up its efforts in this area, and at the same time, the SAT and ACT have not gotten any easier. In fact, over the years, they have greatly increased their emphasis on vocabulary-based reading comprehension. My method is to recognize the problem, drill the student on the various meanings of tested vocabulary words, and how they can expect to see them used. At the same time, I encourage the habits that enabled earlier generations to learn their vocabulary--reading, writing, and dictionary skills. ACT English is not the proverbial box of chocolates. If you prepare for it properly, you pretty much know what you're going to get. It's the set of skills required for revising and editing written material. Success will entail employment of standard grammar and a comfortable knowledge of the ACT's approach to crafting questions. If you take the optional writing test, it's about hitting the marks the preparers expect of a student. I have earned a portion of my living as a professional writer and editor for over 25 years, and have provided my students with over 100 hours of ACT English test tutoring. The best prescription is preparation and the confidence that comes from going about it the right way. The are eight kinds of questions in the ACT Reading test, examining in-depth comprehension of the subject matter with an interplay of logic and vocabulary. High scoring students must not only be experienced in reading difficult material but also must be well-versed in ACT questioning techniques. My approach in the last seven years has been to train my students in micro and macro analysis and pattern recognition. English is my first language. Early in life I stocked up on a large vocabulary rich with denotation and connotation, which has served me well as a writer and public speaker. I've devoted thousands of tutoring hours with Wyzant and earlier services, helping as many English-as-a-second-language students as natives to function at a higher, more satisfying level. I do this for general use and for test-taking, using immersion. SAT reading is a particular test-specific skill where preparation can and should raise student's scores. My outlook and approach is that you have to give the student a structure, something to look forward to, and a guide through what is expected of them in order to raise their confidence and lower their test taking anxiety. Without the right help (while others are seeking and utilizing that help), they can fall below the average or fall below their potential. They are at age where scores-college-career-earnings are all tied together. A boost now will make a significant lifetime difference. With SAT reading in particular, the skills and better habits learned will benefit every subject because they all involve reading. Whether you want to improve your SAT Writing score because it's poor or because near-perfect isn't good enough for you, you shouldn't waste precious time doing it without an expert. My "Five Page Master Class in SAT Writing" is just one of the tools I employ as a guide to demonstrate a time-tested successful approach to the essay portion. As a professional author and editor I also stress basic and advanced grammar, and as a tutor with decades of experience I provide insight into the patterns and strategies it takes to produce a strong performance on the test. The TOEFL test is hard work. There will never come a time when it isn't. The heart of the TOEFL test is the part where you must verbally describe something that you do. For seven years now I have been helping students like you learn to make themselves clear and to sound more intelligent while doing so. My work includes assistance with your accent, listening, reading, writing, and structure. This will help you go to school and to get the best job you qualify for. As a professional writer, I've done every type of commercial writing from Dollar Stretcher to Scholastic, every sort of technical writing from AICPA to Harmon Kardon manuals, and, with two published novels and many short stories, a wide variety of creative work as well. Having spent many years in writing groups and doing professional editing, I was well qualified to help others when I began to tutor on the subject. If you work with me, I'll analyze your strengths and weaknesses, and provide a tailored program to meet your needs including exercises, overall strategies, and line-by-line, word-by-word help. Many of my students have had specific assignments like an essay to get into dental school or an application for political asylum, as well as the more common essay for college application, but when I work with you, you will acquire skills and habits that will improve your work forever. When taught properly, Document-Based Questions (DBQ's) are the the greatest advance ever seen in American History education. When taught poorly, they are a nightmare. In my later-life career as a full-time tutor I've seen many otherwise-bright students flounder in this arena, and I've also seen them respond well to my techniques in bringing them up to speed on comprehension. As a history buff and historical fiction writer, I also bring my students some of the enthusiasm in the subject that they may be lacking. In addition to my studies in political science and constitutional law, I worked in both the Democratic and Republican parties, including the campaigns to elect mayor Ed Koch (three times), mayor Frances X. Becker (of Lynbrook), county executive Ed Mangano, and those of lesser politicians. I also contributed the first study of the viability of candidate Bill Clinton for the DNC when I represented Manhattan Beach, Brooklyn, on behalf of its state senator. Lastly, I worked with county government for nine years in conjunction with a non-profit organization, Hofstra University and Stony Brook University to seek federal and state funding for education projects. I first got involved with tutoring social studies two years ago when the parents of one of my English students wanted to see his grades rise in that area as much as they had in English. I realized then that my passion for history and geography, my economics background, and the political science and sociology courses I had taken in college gave me all the tools I needed. When my new social student did well I added more. Then I discovered that the subject's diverse disciplines knit together were the reason so many students were confused. With essential subject dealing with the world your child will live in, the textbooks are often inadequate, providing fragmentary facts and then asking overly broad questions. In my approach, I identify which elements are making the student falter, explain the subtopics in terms they can understand, and provide the thinking patterns and study skill elements needed to streamline their learning process. Over the past decade when I've been retained to help with world history the course has usually been AP World History or other accelerated programs. In this area my students benefit not only from my knowledge of documents-based approaches but also from my professional background in essay writing and the skills I provide in logic application. While each school course varies, I am versed in coaching them through the major areas and fundamental skills needed including how to focus on the questions as a guide to the reading. Much of what is taught in the lower grades today is meant to lay the foundation for algebra and other higher math subjects. But for many students (especially if they don't realize they were supposed to retain ALL of the previous information) the transition turns out to be a great, stumbling leap that wreaks havoc with all their other subjects while they put full time into understanding algebra. If the student doesn't like math and gets an ineffective, uninteresting teacher on top of their other problems, a good student can turn into a failing student. My approach is to start them early, provide a healthy review of the foundations, get them comfortable with algebraic concepts, steer them through the common pitfalls while providing customized instruction, and finally take the math stress out of their lives. I've had biology students who attended Stony Brook, Hofstra and Adelphi, and each school took a very different approach from the others. Each student, too, has different issues with the work. That's why tutoring can make all the difference. What all biology classes have in common is that there are a vast number of facts to be memorized. But the most demanding classes also require the student to demonstrate an understanding of key processes. My approach is to focus on understanding the portions which are most often tested. I made a point of becoming proficient in geometry because the schools were doing such a poor job of it and I knew that better teaching methods were very much within reach. Tailoring my approach both to the student and the environment, I've gotten successful outcomes for students who reached their goals in everything from tenth grade classroom geometry to those versions of the subject which appear on a variety of tests: SAT, ACT, GRE and GMAT, for example. Prealgebra is one of the most important subjects for a student to do well in before the math gets far more difficult. Every time I sit with an algebra or SAT math student who is having a lot of trouble, it's usually because they forgot or never knew their prealgebra. Whether it be a younger student just beginning the topic or the older student who never quite put it together, I let them explore the numbers from every direction in order to see the relationships between them, and I specially tailor explanations that their regular classroom experience cannot get across. In the new version of the SAT starting in March 2016, the math portion has changed the most, now representing 50 percent of the total score. Algebra 1 and Algebra 2/ Trig are king, with plane geometry almost eliminated and solid geometry added. Understanding test jargon and test logic remain critical factors. I alert students to what they will likely see on the test, particularly the unusual features, get them to categorize questions for proper study, and (if their goal is a very high score) give them problems to tackle that are harder than any on the test, making the actual experience easier by comparison. ACT math, as opposed to its SAT counterpart, favors students who like applied math and hinders those who aren't attuned to it or haven't been trained for it. Another significant factor in this test is about recognizing the patterns of missing information in their reasoning questions. That too can be learned. The rest is review. My method for this as for all test preparation is to point out the patterns and the likelihoods, and give my students the benefit of my thinking out loud, which trains them to think about the problem in highly seasoned terms. We begin with assessment, goal setting and proper expectations to plan how many hours the student must allot to study and to tutoring. ACT Science is a test like no other. The highest scores go not only to the best science students, but to the students best prepared to look at an almost-bewildering array of unfamiliar data and make sense of it quickly. Of all the test challenges susceptible to improvement through personal coaching, this segment of the ACT is most promising. I like to give the students a strong idea of what is expected of them and share the benefit of my analysis on specific problems in order to train them to think in a similar manner. Although I've given some lectures in cosmology over the last 25 years, my specialty is in planetology. I am a Solar System Ambassador with the program since it's inception. We are community-based educators. I also rely on my college courses and my decade as a science museum consultant. Ecology classes, also known on Long Island as Earth Science classes, vary widely in their content, having in common that this is usually the first class that requires its students to draw conclusions from inference as well as memorize knowledge. This serves them well if they take college science or SAT2. Decades ago, when I went to school, I was at the top of my class in Earth Science. I've kept up with the changes, tutoring students in basic earth science plus the versions that greatly enhance geology and ecology, bolstered further by my ecology training at NASA. In the 1970s, I was the top student in my Earth Science class. Five years ago I began tutoring the subject and I was amazed not only at how much the science of the underlying topics had advanced, but also at how more difficult the labs and tests had been made, and how much the course differs depending on the school and the teacher. The versions of earth science courses that are heavily tilted toward geology are the worst because no one has come up with a good textbook for them yet and the test questions are poorly framed. Nonetheless, I've coached all of my students to their goal level, and some beyond. I've seen students get very excited about psychology when first exposed to it in high school and very stressed out about it when first exposed in college. This tells me that the sooner the subject is studied the better. I'm usually hired by struggling psychology college students and I find that they do better when I contextualize the subject for them and quiz them throughout the year in every single session. I've covered several different courses at several different schools where my approach has worked well. There was a time when I was so frightened of speaking that petrified wood was jealous of how stoney I was. Then came some extraordinary training at Brooklyn College from two of the most gifted professors in the field. Within three years I was the Treasury Department spokesman for ten million constituents, racking up audiences of hundreds at a time in person, thousands on PBS. I would go on to create courses for teachers, and share the podium with business and political leaders at conferences. I wrote speeches for my boss, who was head of the Long Island Planning Commission, and later sat in his place. All of this was incidental to - and a great boost to - my career. I would recommend speech training for anyone because I've proven that even the most introverted person with a desire to change can do so. Learning chess is one of the finest ways to develop the mind, and I find that starting a tutoring session of any kind with an hour of chess tutoring opens up students who are resistant to most kinds of study and allows them to tackle the second subject with greater ease. I have a knack for bringing students up to my level or beyond, and I have the experience in chess instruction to make a program for those who are seriously inclined to pursue chess as a sport. Watching Bobby Fisher in the championship match with the big flat board and the pundits wringing their hands; joining the chess club myself; becoming a tournament-level chess player; and having the pleasure of playing a young Joel Benjamin--all these things were great milestones in my life. I typically keep up with the discipline by participating in a few games every night online. It's a great privilege to teach the subject. I've seen passionate students begin to approach my abilities in the time I've worked with them, and I think the reason for that is I guide them toward an intuitive grasp of strategy over memorization. The General Education Development tests, or GED, have been increasingly difficult in recent years to allow for a wide span of grades and applications. Note that the New York State version is called TASC. I've been tutoring one version or another for eight years. Only seventy percent of those who take it pass the test to get their Certificate of High School Equivalency, and the American Council on Education is about to make it harder still. I'm conversant and experienced in tutoring all five parts of the test: Language Arts: Writing; Social Studies; Science; Language Arts: Reading; and Mathematics. My students have done well because I know where the sticking points are and how to manage them. Come to me and we'll make a plan. While parents and students rarely call for help with the PSAT, I say it is advisable to do so. As an educator with a decade of experience in admissions tests, I know that the schools do not properly teach to these tests and the sooner a student acquaints himself or herself of their methods, patterns and demands, the better they will do on the upper level tests. From personal experience (my own High School Regent's Diploma) required sitting for exams in English, Social Studies, Spanish, Math (9th - 11th year), and Earth Science. My levels-- grades 85 and better-- correspond to what is currently the "advanced" designation or "mastery" in all of those subjects. Many of my classes were AP (Advanced Placement) as well. I did not utilize prep courses or tutoring. Currently, I am most qualified to teach and prepare students for Regents English, Global Studies, and Earth Science. After minoring in English, including studies at Columbia University, I achieved 25+ years as a published author. I am up to six years and counting as a judge/ mentor in the Long Island Science & Engineering Fair. If you request a topic I cannot cover, I will gladly tell you. During the last ten years I've been engaged to tutor lower and upper level admissions tests particularly for those entering Catholic schools. I take into consideration the background and needs of students taking the SSAT and I recommend that this process be taken very seriously. It is excellent for laying the groundwork for high achievement in college admissions tests and academic improvement in general. Meeting Ben is like hitting the lottery! My son is very shy and has attention issues. Ben got him to Open up and pay attention. That is something that you cannot buy. We were very impressed. We plan on scheduling more sessions with Benjamin. Fantastic instructor knowledgeable and easy to understand. 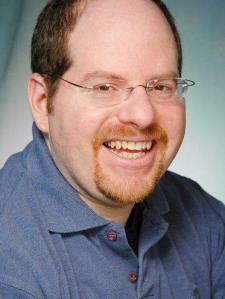 Benjamin not only teaches with understanding and clarity, he helps you to think out of the box. Motivating you to think and use all of you're learning skills. Ben helped my son understand the things he needed help with in accounting and we already scheduled our next appointment. Ben always brings a thought out study plan to make sure I review exactly what I was confused about. We first go over general principles and then complete practice problems. It is a really good way to ingrain concepts. Benjamin was very patient with Charles. This was their first lesson. Charles already has a better understanding of the material. CPA Exam Prep. Strong knowledge of material as well as overall test strategy. Had an excellent time learning from Benjamin. My son has really enjoyed working with Ben. He is a very experienced tutor and knows exactly how to teach my son. Highly recommend! Benjamin was very helpful. He is patient and extremely supportive. I recently just passed an exam that I needed for my certification and I can give him all the credit! Ben is great, he is very helpful with all subjects. Math was where I needed the most help, Ben made things very easy to understand. Science became easy to grasp, because he explains things one step at a time and shows you how to see how fun all subjects can be. Ben has given me much more confidence to do well in life. Ben's easygoing approach makes learning simple. I want to thank Ben for helping me improve in my studies.